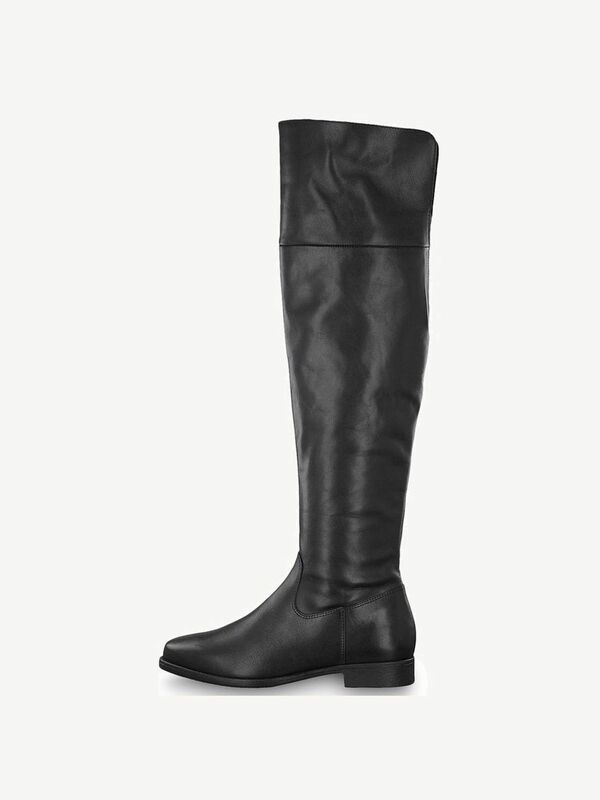 Gesin 1-1-25516-31: Buy Tamaris Overknee boots online! These overknee TAMARIS boots make any look fashionably dazzling. The high-quality upper material made of leather makes these boots particularly exquisite. The simple but fashionable design offers versatile combination possibilities. Thanks to the integrated TOUCH-IT function, an optimal wearing comfort is made possible. A zipper on the inner side makes fast putting on and taking off possible. No matter with jeans, skirts or a classic suit – these boots can be worn with any outfit on any occasion.